How do you feel about robotic mowers? This is the question Penn State University students recently asked customers of Eichenlaub Inc., a full-service landscape firm based in Pittsburgh. 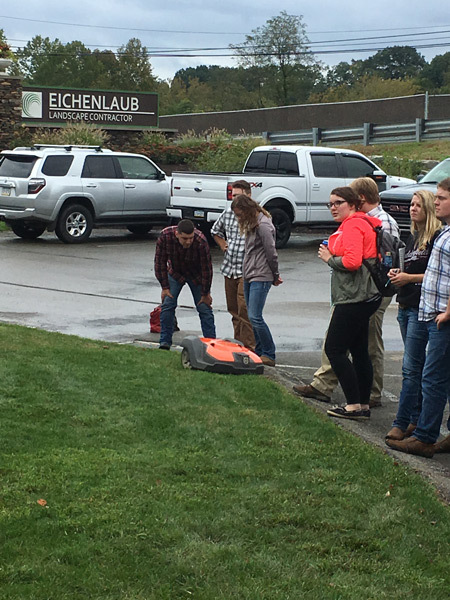 Nearly 100 students took part in the field day hosted at Eichenlaub Inc.’s headquarters. 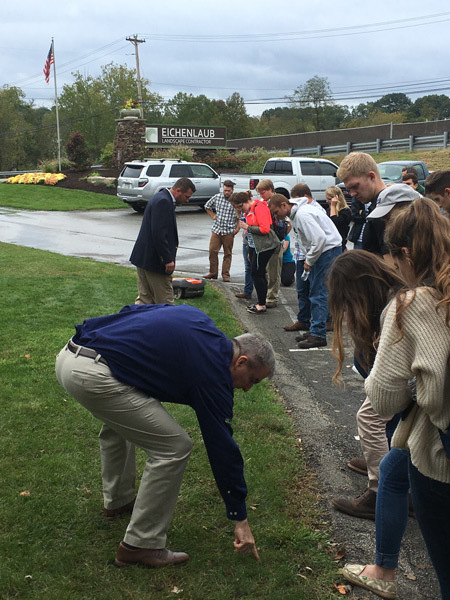 The event included a live case study where students called and spoke directly with Eichenlaub Inc.’s customers to get feedback on having their property serviced with a robotic mower. Dan Eichenlaub, owner of Eichenlaub Inc., which is a LandOpt contractor, hosted the event alongside Husqvarna’s Brian Luzier and Penn State’s Dean Richard Roush. During the field day, students learned, discussed and brainstormed how to bring innovation to existing businesses and to an industry. “Existing companies must innovate or they die,” Eichenlaub says. 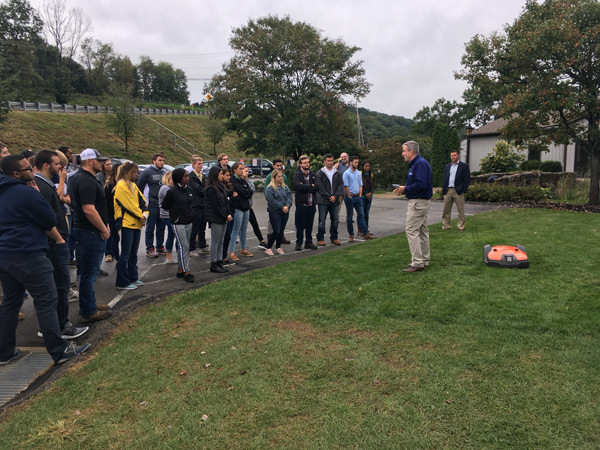 Dan Eichenlaub, owner of Eichenlaub, Inc., and Brian Luzier, Commercial Sales Manager of Husqvarna, speak to Penn State students about autonomous mowing. 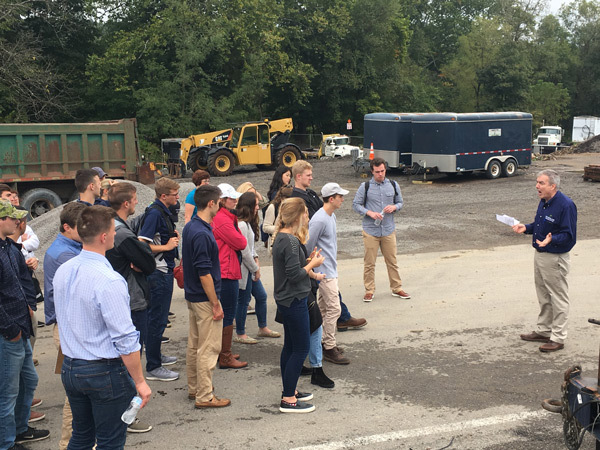 Penn State students tour Eichenlaub’s operation in Pittsburgh. 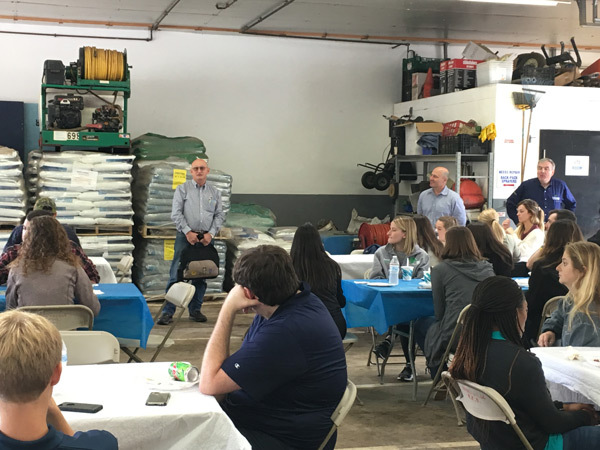 College of Agricultural Sciences Dean Richard Roush speaks about innovation to students visiting Eichenlaub, Inc., a landscape services firm in Pittsburgh. 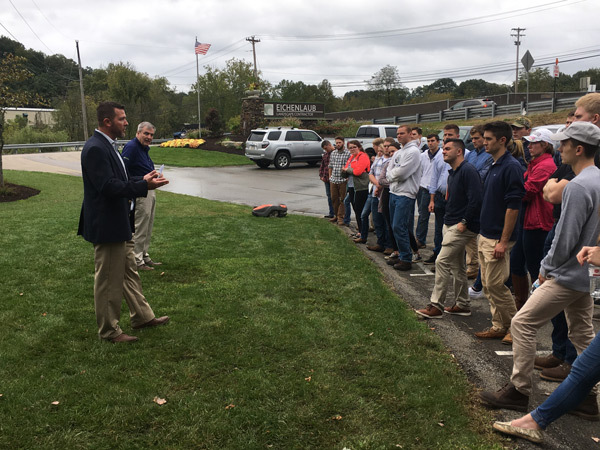 Dan Eichenlaub, owner of Eichenlaub, Inc., a landscape services firm in Pittsburgh, explains to Penn State agribusiness management students how his company is evaluating autonomous lawnmower technology to service lawn maintenance customers. Students get an up-close look at Husqvarna’s Automower during a visit to Eichenlaub, Inc.